Public urged to attend Madikizela-Mandela funeral - SABC News - Breaking news, special reports, world, business, sport coverage of all South African current events. Africa's news leader. The 81- year-old anti-apartheid struggle stalwart passed away in Johannesburg on Monday. Minister in the Presidency Nkosazana Dlamini-Zuma has urged members of the public to come out in their numbers to attend the funeral of late struggle stalwart Winnie Madikizela-Mandela. 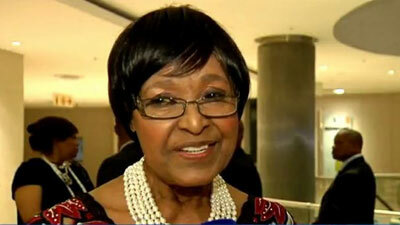 Dlamini-Zuma has announced that Madikizela-Mandela will receive a category one official funeral. The struggle icon, affectionately known as the ‘mother of the nation’ passed away at Milpark Hospital in Johannesburg on Monday. Dlamini-Zuma says the National Flag has with immediate effect been flown at half-mast at all flag stations countrywide and at South African diplomatic missions abroad. Speaking at a media briefing at Orlando Stadium in Soweto, she has acknowledged messages of condolences from the continent and all over the world. She says the government will host a memorial service in Soweto. “Initially we looked at Regina Mundi but now we are looking at the stadium. The government has made available condolence books in many places including OR Tambo international airport, Union buildings and Arts and Culture Department. We are satisfied with the preparation done towards the funeral and the memorial service,” says Dlamini-Zuma.